« Is Your Agent Qualified? The Negotiator Awards are organised by the residential property industry’s only trade magazine, The Negotiator. The Awards programme has led the field in the celebration of excellence in the residential property agency sector for 12 years. The categories are judged by 16 highly experienced industry experts, so we were delighted to have been shortlisted. Since our foundation we’ve built a reputation for quality and responsiveness, striving to offer a high quality service. People drive our business and so we work hard to engage, develop and retain our team; staff continuity helps us to continue to provide an excellent service. Training: 88% of our eligible staff members are ARLA Propertymark qualified and people in our central functions hold various qualifications including CIM, AAT, CIMA and Prince2 Project Management. Progression: we operate a meritocracy; everyone has the opportunity to progress according to merit and ability. All five Directors started in more junior positions and were promoted from within (totalling more than 80 years of experience between them). Engagement: this isn’t always about how much money you can throw at it, it’s also about team spirit, energy and having fun. So far this year our teams have taken part in the OX5RUN at Blenheim, joined in ‘It’s a Knockout’ at Horspath, held bake sales and hosted a quiz night (all raising just under £7,500 for local charities). Reward: each quarter awards are given to those who have truly ‘lived’ our company values of expert, dynamic and scrupulous. 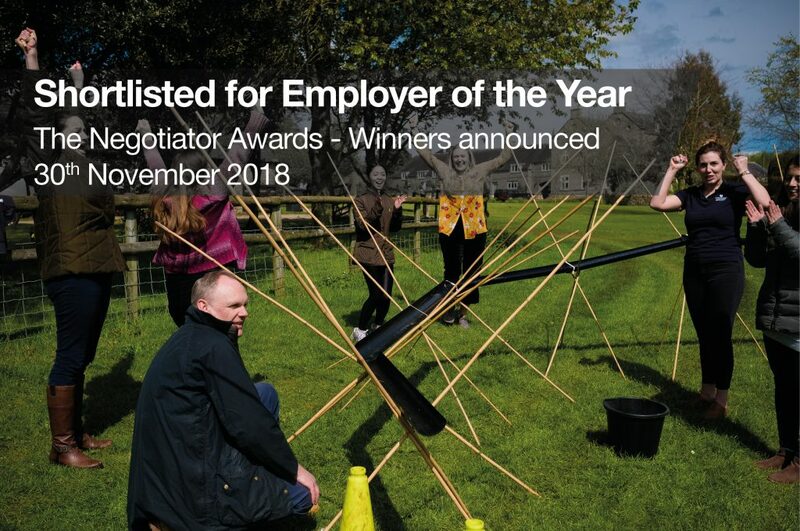 They are nominated by their colleagues across the company and this empowers and inspires all employees to recognise their peers, managers and team members. Our employees are at the heart of what we do and our focus on training, developing and engaging them ensures that we offer some of the best customer service in our sector. We are looking forward to the award presentation in the 30th November and will keep everything crossed!